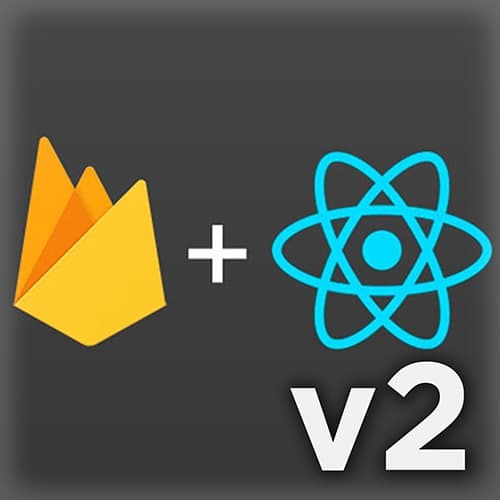 Steve Kinney gives mention to the new features offered in Firebase since the last iteration of the course, and also what will be accomplished in the course. Steve introduces Cloud Firestore, the database replacing Realtime Database in Firebase. Steve explains how Cloud Firestore differs in structure from Realtime Database. Steve gives an introduction on how to query data from the Cloud Firestore. Steve gives examples of how to perform ordering, limiting, and querying on the Cloud Firestore. Steve gives the application the concept of Firebase by using the Firebase console. Steve configures the Firebase application and exports necessary variables. Steve sets up a new Cloud Firestore database, then wires it into the application. Steve utilizes a promise to query the Cloud Firestore database and create a QuerySnapshot. Steve introduces key properties and methods of the QuerySnapshot objects. Steve introduces key properties and methods of the DocumentSnapshot objects. Steve demonstrates how to use the Firebase console to manually create a document inside of a collection. Steve maps over the posts collection to display the data in the app. Steve posts a document to the database, then demonstrates how to GET the same document and update the state of the application to reflect the new data. Steve demonstrates how to add functionality to the app that allows the user to delete posts, then also removes it permanently from the database. Steve utilizes the onSnapshot method to ensure that the page is listening to the database changes being made. Steve refactors the existing code such that the database calls are isolated to one component. Students are instructed to implement the star functionality to the application using the method learned from removing a post. Steve live codes the solution to the exercise, and adds the date to the individual posts. Steve demonstrates how easy it is to configure the OAuth with the Firebase console. Steve exposes the prewritten UI to allow the user to sign in or sign up. Steve wires up the app to allow the user to sign in via Google. Students are instructed to allow users to sign out of the application. Steve live codes the solution to the exercise. Steve discusses the benefits and disadvantages of not having an enforced schema, and how a cloud function might be triggered. Steve introduces the basic structure of security rules, how to nest rules to sub collections, how to validate based on the document, accessing other documents, and basic rules to keep in mind when writing security rules. Steve writes a few security rules, and demonstrates how they limit access in the application. Steve logs in to create a user profile in the database, then verifies that the current security rules are working. Students are instructed to create a security rule that validates whether the title of a post is null, and rejects it if it is. Steve explains the pitfalls of the current design, and how that can be solved with user documents. Steve demonstrates how to allow users to set a display name. Steve introduces some authentication settings that are offered out of the box by Firebase. Steve constructs a function that creates a user document. Steve constructs a function that GETs a user document. Steve adds security rules so that users can read their own blog posts. Steve demonstrates how the data is being read from the user profile as opposed to the auth object. Steve approaches the problem of scaling, should the application grow in size. Steve pulls out the posts into the the React Context API. Steve wraps the top level component into the provider to ensure that other components can hook into it, then wraps the posts in the consumer as well to create a more modular application. Steve deletes unnecessary code that was rendered obsolete by the consumer. Student are instructed to abstract code out of the Application component into the UserProvider component, as was done with the PostsProvider component in the last few sections. Steve live codes the solution the exercise. A question is also asked about the architectural decision to use the Context API over using React hooks. Steve augments the user interface so that the delete button doesn’t show when the post doesn’t belong to the current user. Steve adds routing to the application. Steve adds the ability for users to change their screen name and upload a file in the application. Steve adds functionality to the application that updates the user's screen name as soon as the submit button is clicked. Steve adds the ability to upload a file to the application using Firebase storage. Steve changes the security rules to allow users to upload their images. Steve gives a proof of concept by uploading a new profile picture to the application, and reviews what was done to get to this point. Steve explains the benefits of subcollections, then introduces the next feature in the application, which is to allow the user to fetch a specific post via a URL. Steve begins constructing a page where the specified post will be placed. Steve demonstrates how to nest documents with subcollections by adding comments to the posts. Steve creates a higher order component, which takes a component, wraps it in another component, and returns it. Steve walks through a deployment of the Firebase Application to the internet through the Firebase CLI, then talks through some of the hosting features that the Firebase console has. Steve introduces what cloud functions are, and discusses use cases. Steve demonstrates how to set up cloud functions, and how to deploy them. Steve creates an API endpoint using cloud functions to get all of the posts. The Firebase function logs are also briefly introduced. Steve demonstrates how to run a cloud function on a local machine, rather than Google's. Steve sanitizes a document of a specific word by using a cloud function. Steve adds a comment counter feature to the cloud functions. Steve reviews what was covered, as well as the main points to take away from the course.